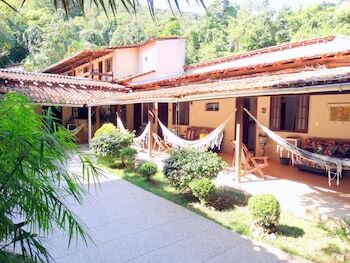 When you a stay at Pousada Refúgio do Capitão in Ilha Grande, you'll be on the beach, just steps from Ilha Grande State Park and Aracatibinha Beach. Featured amenities include dry cleaning/laundry services and multilingual staff. With a stay at this apartment in Alto da Boa Vista (Copacabana), you'll be within a 15-minute drive of Sugar Loaf Mountain and Parque Henrique Lage. Located in Sao Pedro da Aldeia, Pousada Enseada Das Garcas is minutes from Sudoeste Beach and Ilha das Pombas. With a stay at Ajuricaba Suites - Morada do Sol in Manaus (Aleixo), you'll be within a 15-minute drive of Mindu Municipal Park and Amazon Arena. Free self parking is available onsite.